Danios are mainly found around flood plains in Eastern India, and in shallow slow or non-existent flow streams that have a lot of over-hanging vegetation. They are also found in mature rice paddies. Danios are amongst the most peaceful of all fish. Although they will always chase each other around the tank and nip, they will never harm or take chunks out of each other. They are a very active fish, and swim vigorously around the tank all the time. This helps the other fish in the tank become active too. 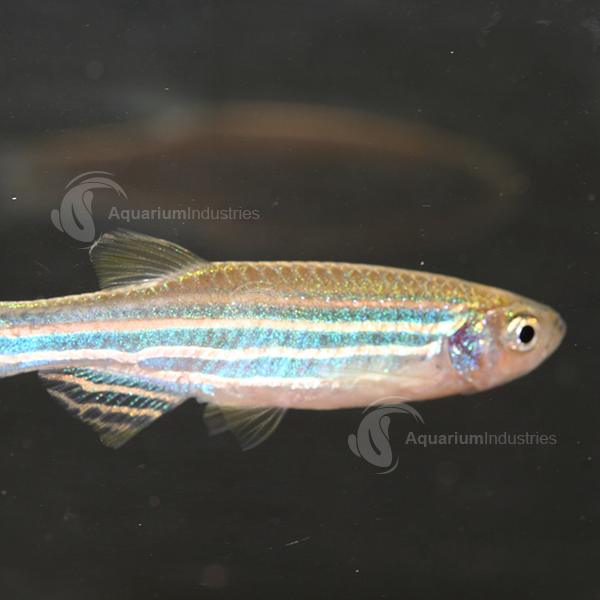 There are very many types of danios that we stock here at Aquarium Industries; including Zebra Danio, Gold Zebra Danio, eopard Danio, Pearl Danio, Giant Danio. These also come in Long fin types as well e.g. 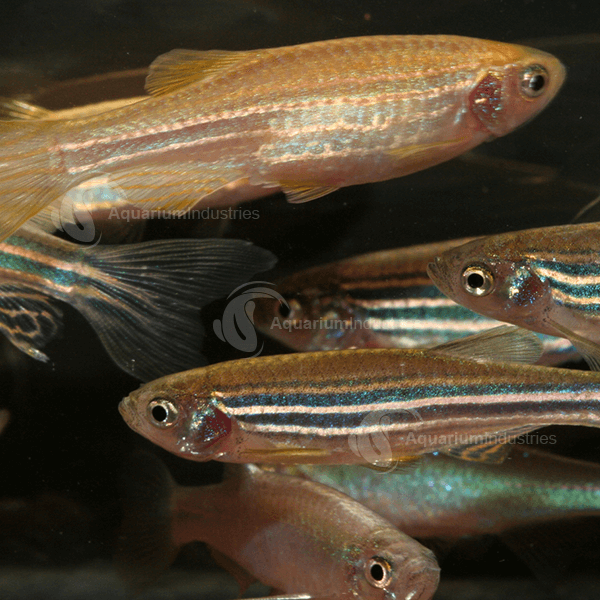 Long fin Zebra, Long fin Gold Zebra and Long fin Leopard Danio.